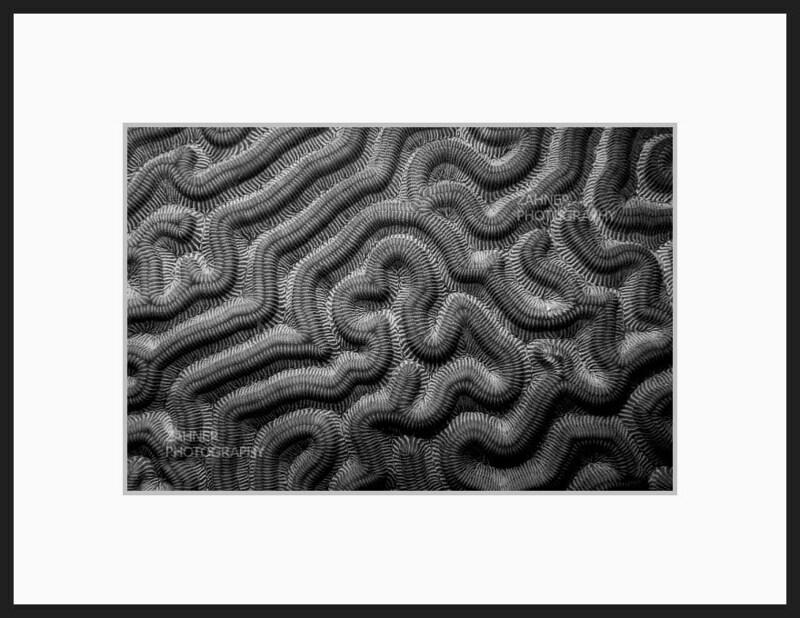 Black and white underwater photograph of a coral labyrinth pattern formed by live brain coral. I took this photograph while scuba diving in Bonaire. 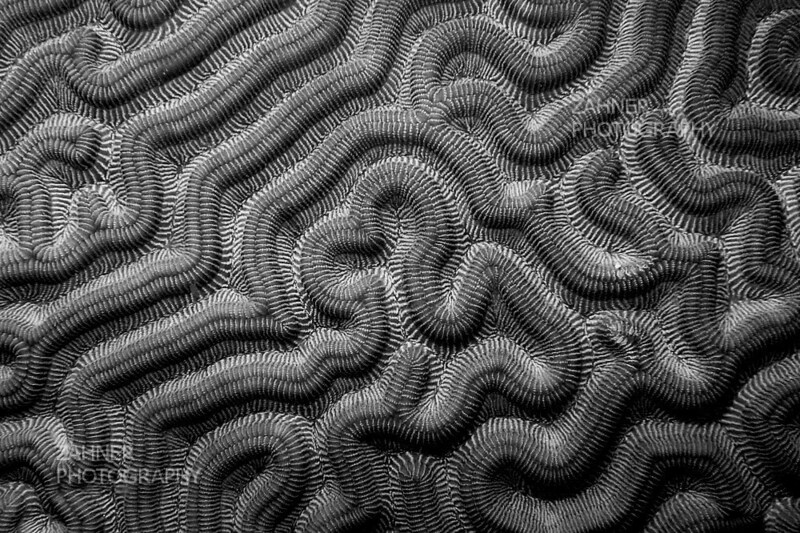 #2 in my series of black and white coral mazes.